How I love the Karma Project! What started as a little community storefront in 2007, expanded into the space next door and started serving food, and has grown steadily into to so much more. The community garden is at the epicentre of this operation and offers garden plots to local citizens for a mere $20.00 a year, while providing fresh produce for the local women's shelter and more. As in it's beginnings, the Karma storefront endeavors to offer crafts, jewelry, preserves, produce, art works and herbs that are local, organic and fair trade. 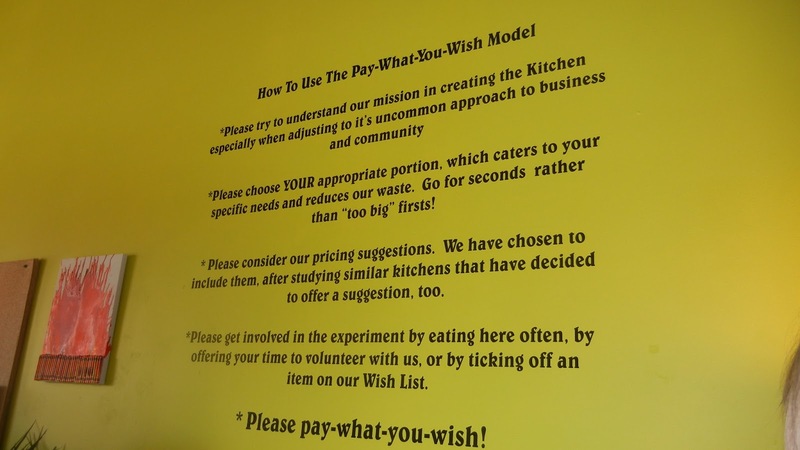 The little cafe adjoining it goes one step further with a concept that was new to me - the pay-what-you-wish kitchen. That's right, you pay what you think the meal is worth! I am told that musician, Jon Bon Jovi, runs a similar eatery in New Jersey known as the JBJ Soul Kitchen, where there are also no prices on the menu. In summer, good things are constantly coming in from the community garden and from local producers, and being snapped up by shoppers, made into meals in the kitchen, stuffed into food boxes, shipped off to Christian Island where no grocery store exists or sold at farmers' markets. And in the midst of all this activity, teaching goes on, or more accurately the re-teaching of once common skills that have been slowly slipping away. How many of us today could successfully grow their own potatoes or know how to make sauerkraut at home? The Karma Project wants to help people to get back to their roots, quite literally. The face of the Karma Marketplace is Erin Chapelle, a lovely nature's child who exudes warmth and a great passion for what she is doing. She is so busy and so energetic. When she explained all the activities she and the Project were involved in, I thought this woman must dream about Karma at night. She and the Karma Project are a great fit for The Huronia Food Trail. I haven't seen a full menu for the kitchen side of the Karma Marketplace, but that may be because it changes daily according to what delights come in from the fields and gardens. 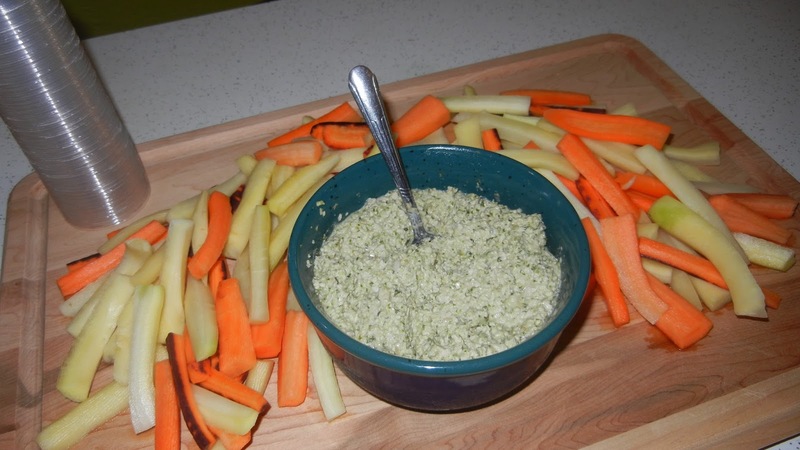 While our media tour group was there, we munched on a rustic and garlicky dip made from sunflower seeds and surrounded by a rainbow of multi coloured organic carrots. Yet another glass of lemonade was downed by most if not all of us, even though we'd been offered some at a number of previous tour stops, but on a day as hot as that one was, you can never have too much fresh lemonade! I must admit I hadn't been very aware of these kind of movements until recently. My eyes are being opened to some of the wonderful things that are being done locally, mostly by young people, to promote sharing, growing, teaching, sustaining, and cooking. I have seen snippets of information about places in my own city of Barrie, such as the D.I.Y. and the Unity Market, but I realized I know very little about their mission. I must make it my mission to find out. Check out the Karma Marketplace's Facebook page - there's a lot of great info. and photographs there! And watch the beautifully produced video on this page http://vimeo.com/62383802 that really gets their message across.